The Yellow-fronted canary (Crithagra mozambica) is a small canary with bold facial markings, a distinctive yellow front, and grayish crown and nape. It was previously called the Yellow-eyed Canary, but this is misleading as the eyes are in fact dark brown. 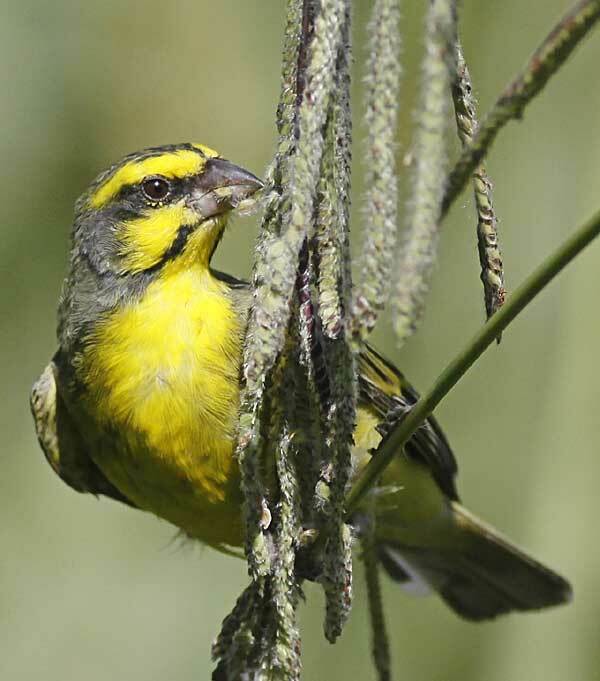 The Yellow-fronted Canary is found in open grassland and is common in parks and gardens, where it feeds on grass and shrub seeds (as in photo above).